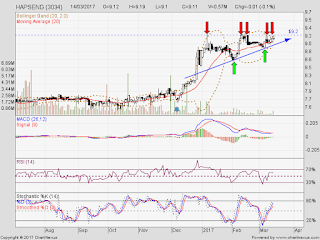 HAPSENG forming ascending triangle pattern. If able breakout RM9.20 another new high record been form. 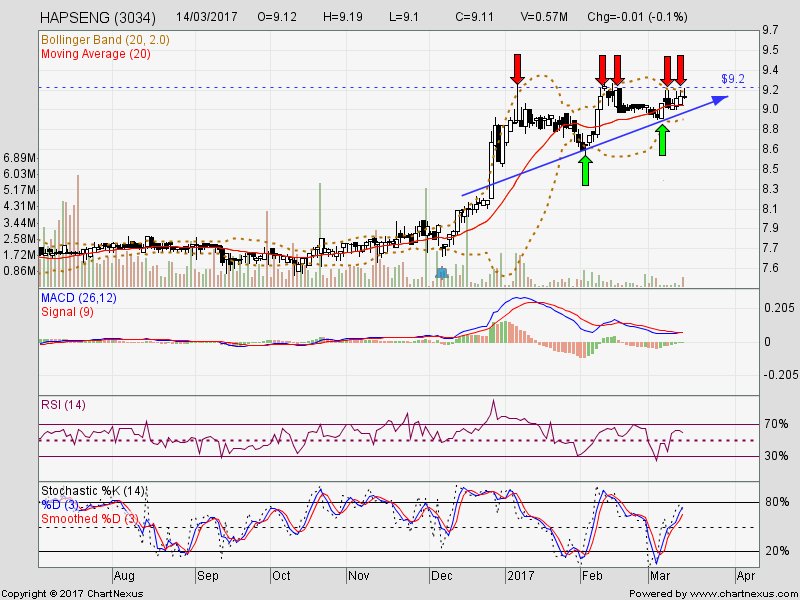 Immediate support @ RM9.00 level. Subsequent support @ RM8.90 level.